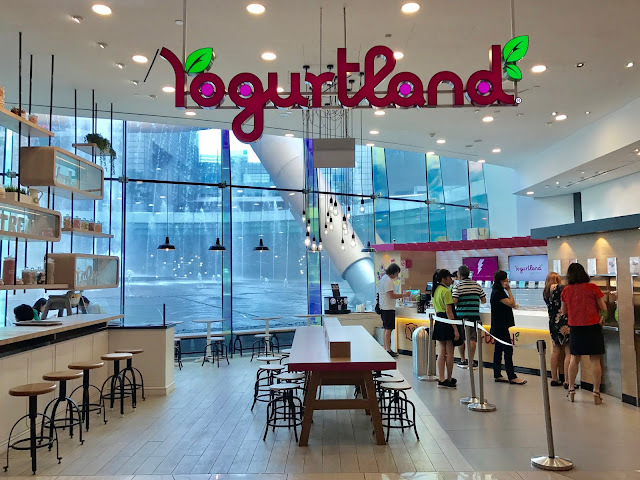 Popular American yoghurt brand Yogurtland, which originated from California, has opened its flagship store at Suntec City Mall, occupying the space previously used by All Things Nice. 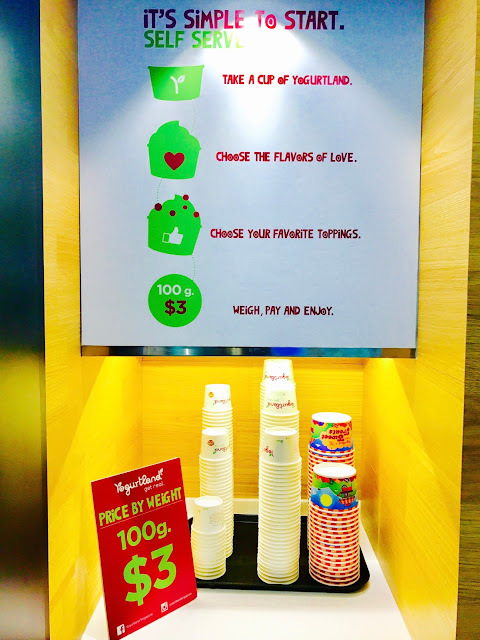 According to this poster, Yogurtland’s yoghurt offers many health benefits such as vitamin C, calcium and antioxidants. 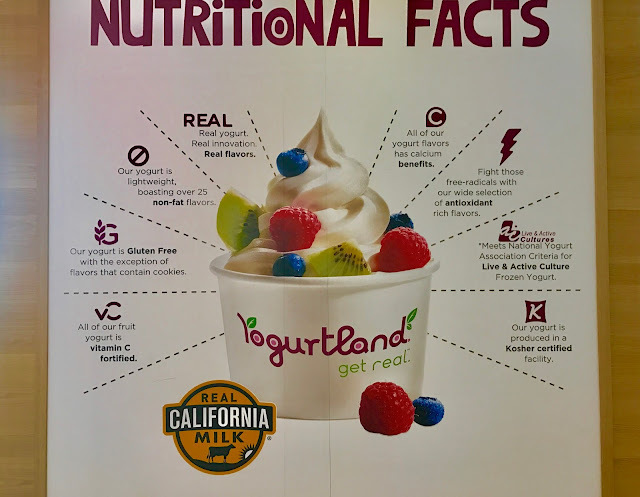 Yogurtland’s yoghurt is made with real California milk and it is gluten-free. 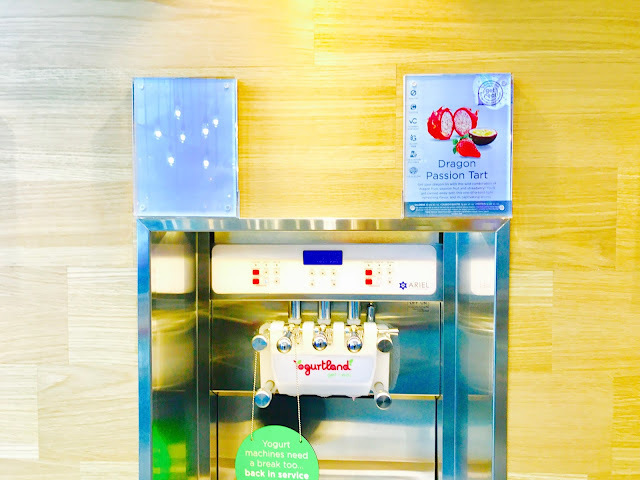 Yogurtland’s yoghurt is sold by weight at $3 per 100g. 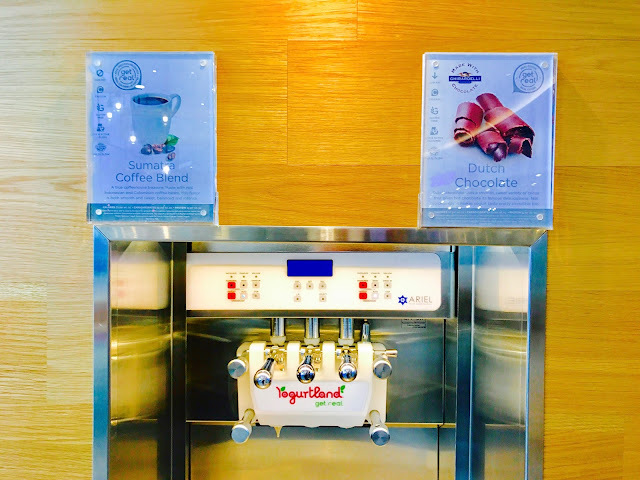 Yogurtland uses a self-service system where you get a cup size of your choice (small, medium or large), choose your flavours and toppings and make payment at the cashier. There are currently 7 flavours to choose from Plain Tart, Alphonso Mango Tart, Dragon Passion Tart, Salted Caramel Pecan, Fresh Strawberry, Sumatra Coffee Blend and Dutch Chocolate. 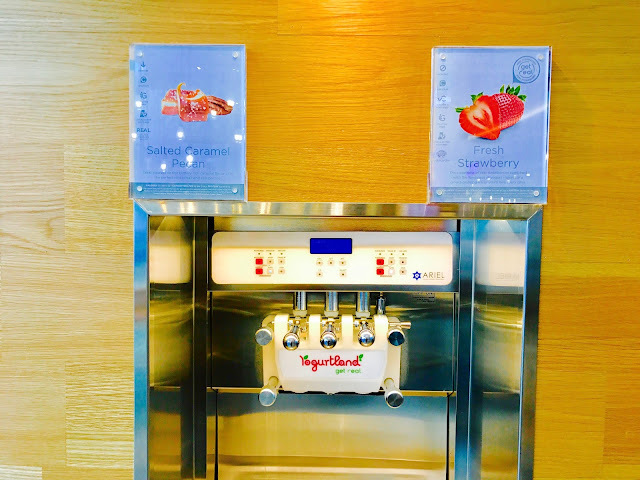 Yogurtland will gradually introduce its range of more than 200 flavours. 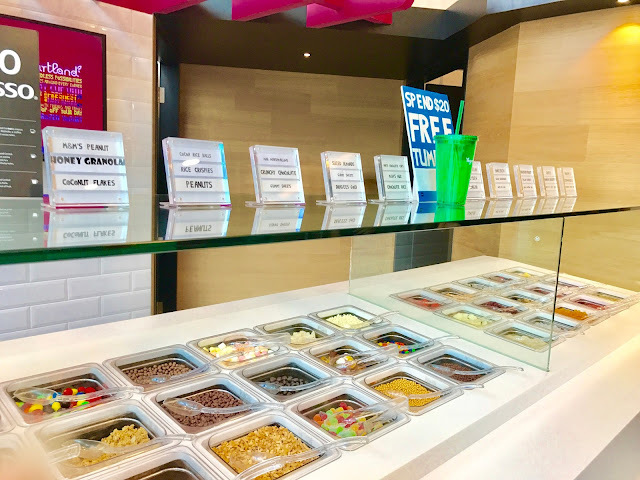 There are 33 toppings to choose from, including 15 types of fruits and jellies, not forgetting popular condiments such as Gummy Sweets and Sliced Almonds. 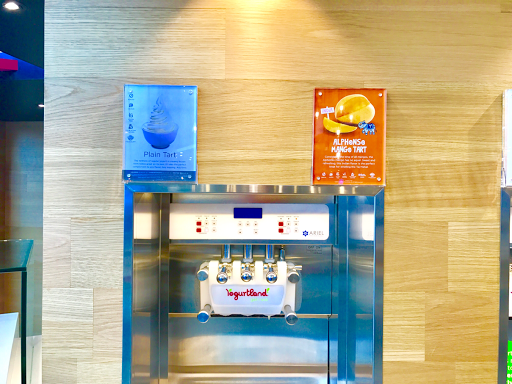 You can create your own yoghurt or froyo masterpiece here! 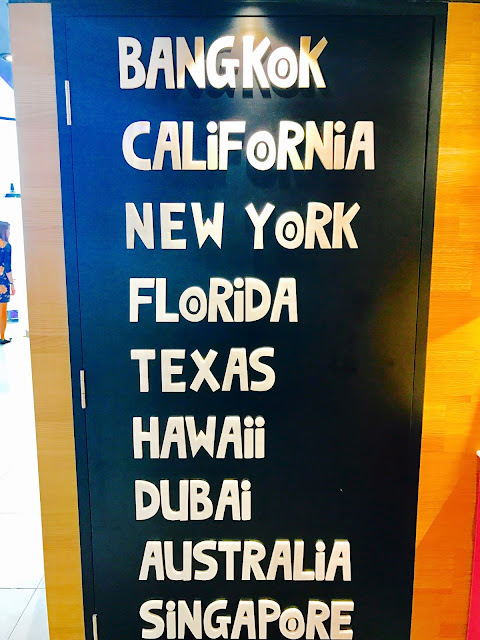 The brightly-lit and colourful interior also make the shop very Instagram-friendly. 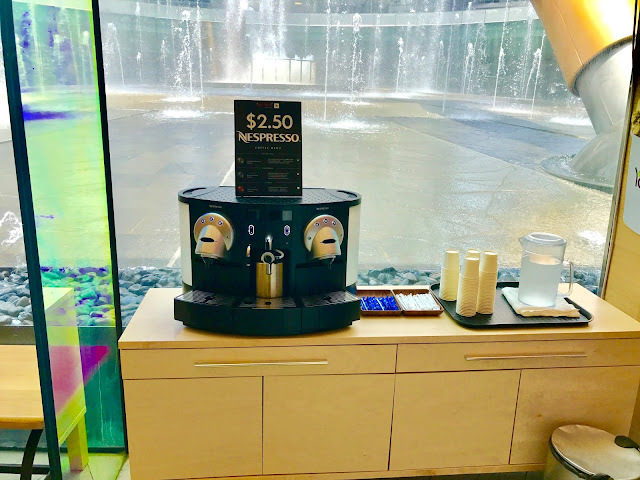 I have no idea what a Nespresso machine is doing in a yoghurt shop, but apparently, Yogurtland also sells Nespresso coffees at $2.50 a cup. 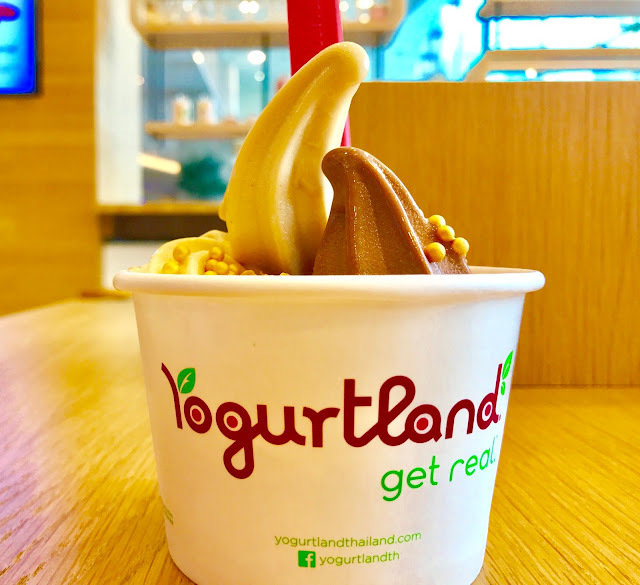 Yogurtland makes up for its slightly-higher price yoghurt with a large variety of exciting flavours and toppings. It is a great place to unleash the artist in you and create your own yoghurt masterpiece.